Originally posted by xxlynne in April 2012. 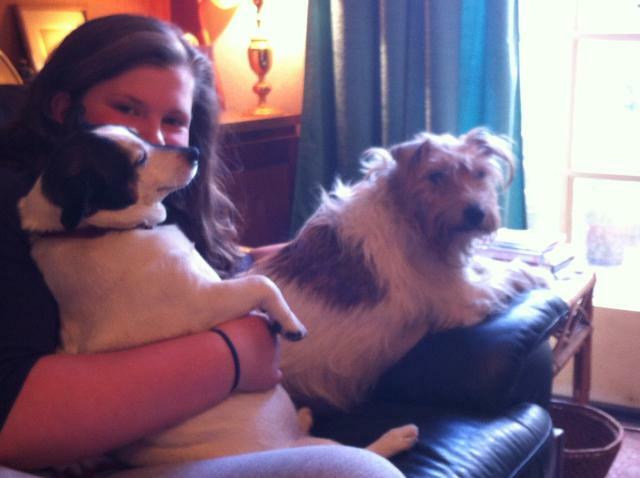 Annie & Mylo's Story: Both Annie and Mylo were originally found stray/abandoned, and unclaimed within council pounds. Rescue Remedies offered Rescue places, saving their lives. 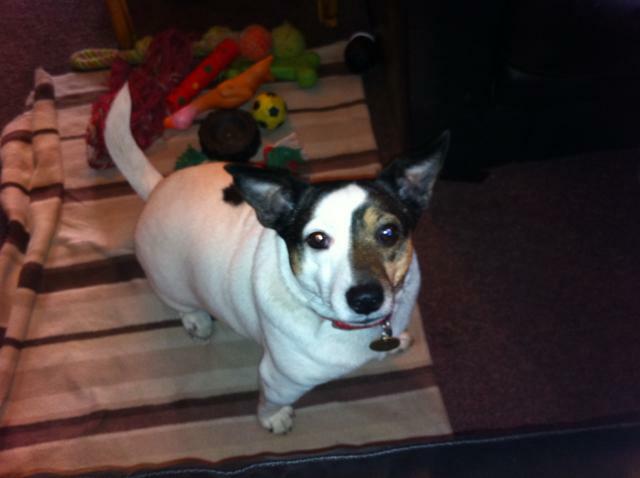 Both Annie and Mylo were rehomed by us separately, but into the same home in 2006 and 2012. They are close friends and need to be rehomed together. Annie originally came from Essex and was found in July 2006 at about one year old; Mylo was found in April 2012. Annie & Mylo were returned to us in September 2018 by the family we homed them with, as sadly, their owner's health was challenged and he moved into a home for the elderly. Both dogs are neutered, chipped, and fully vaccinated. Annie and Mylo are now in boarding kennels near Gatwick whilst they await their new family. 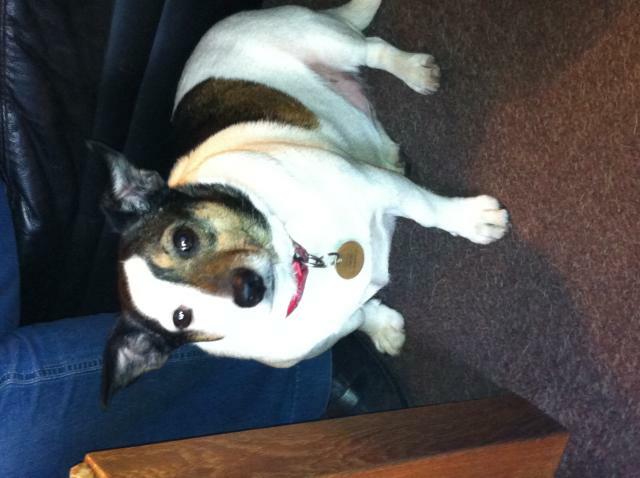 Annie came to us in 2006, before we opened our Forum. Here are her pictures when in foster with xxlynne in 2006, before she was rehomed. Mylo joined her seven years later, and they are close friends. not too sure at first ..
just the sweetest face, and his terrier inquisitiveness outweighs his nervousness! He needs a lap to sit on where he can watch the world go by and build his confidence to go forth and join in! He was funny with his treats , he ate one or two but it was more of a game, I offered, he took and then placed them in his bed and came back for more! Slow and steady really will win the race with this little chap. I met this lovely little lad today. After a while he was brave enough to come and take a bit of chicken from the tub that I was holding (at arms length) but he dropped it and had to run into his bedroom, but he soon came out again to eat it and more. I am a true Staffie fan but this little lad is very cute. Mylo moved in with Terry, Hannah and Annie last night. Annie who is a Parson's JRT rather likes her little friend; fascinated by him has told him off and laid down her rules and Mylo has been very obliging. He is going up to Terry and Hannah for strokes this morning and has eaten a hearty meal. They are pleased with him and think given time he will build his confidence more and more. I'm meeting them on Wednesday for Mylo's second vax and chip. Hi I have finally joined the forum so I can update on my dads behalf. Mylo moved in nearly two years ago with Annie and they hit it off straight away.We have never seen Annie so taken with another dog she always seemed more of a people dog,but that has completely changed since he arrived. They fight and play all day and night if you let them! We never saw her play with anything before. Its amazing the difference a little dog can make. He is completely settled and comfortable and has a real cheeky chappie feel and walk about him. He is great with visiting grandchildren.Mylo is so loved and wants for nothing as he has got dad and Hannah (and Annie) wrapped around his little paw. Mylo with some of his toys.